The Helsinki, Orlando and Spokane bids for the 2015 Worldcon, the KC in 2016 Worldcon bid, and the two 2014 NASFiC bids made presentations and fielded questions at a Fannish Inquisition during Westercon 66. Kevin Standlee performed the introductions. Lisa Hayes shot video of all the segments and they are available both here and on YouTube. LoneStarCon 3 has posted the responses of all 2014 NASFiC and 2015 Worldcon Site Selection bidders to a standard set of Fannish Inquisition type questions here. Or you can go directly to the PDF documents. LoneStarCon 3 is now accepting votes for the sites of the 2015 Worldcon and the 2014 North American Science Fiction Convention (“NASFiC”). Helsinki, Finland. The bidders propose to hold the con August 6-10, 2015 at the Helsinki Exhibition and Conference Centre and the Holiday Inn Helsinki Exhibition & Convention Centre. 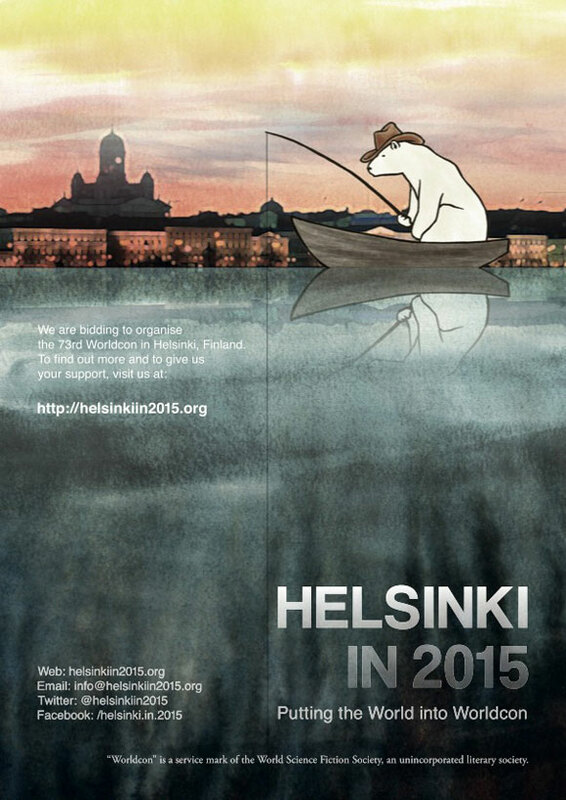 Learn more at www.helsinkiin2015.org. Orlando, Florida. The bidders would hold the con from September 2-6, 2015, at Disney’s Coronado Springs Resort and Convention Center. Learn more at www.orlandoin2015.org. Spokane, Washington. The bidders want to hold the con from August 19-23, 2015, using the Spokane Convention Center, the Doubletree Spokane, the Red Lion at the Park, and Red Lion River Inn. Learn more at www.spokanein2015.org. Detroit, Michigan. The convention would be held from July 17- 20, 2014, at the Detroit Marriott at the Renaissance Center. Learn more at detroitin2014.org. .
Phoenix, Arizona. The convention would be held July 30-August 3, 2014, at the Tempe Mission Palms Hotel and Conference Center. Learn more at phoenixin2014.org. For voting details see http://www.lonestarcon3.org/wsfs/wsfs-site.shtml. LoneStarCon 3, this year’s Worldcon, confirms the following bids have filed for the 2015 Worldcon and the 2014 NASFiC. Site selection voting for those years is administered by LSC3. Helsinki in 2015: A bid for Helsinki, Finland. The convention would be held August 6-10. The proposed facilities are the Helsinki Exhibition and Conference Centre and the Holiday Inn Helsinki Exhibition & Convention Centre. Learn more at www.helsinkiin2015.org. Orlando in 2015: A bid for Orlando, Florida. The convention would run from September 2-6. The proposed facility is Disney’s Coronado Springs Resort and Convention Center. Learn more at www.orlandoin2015.org. Spokane in 2015: A bid for Spokane, Washington. The convention would be held August 19-23. The main facilities would be the Spokane Convention Center, the Doubletree Spokane, the Red Lion at the Park, and Red Lion River Inn. Learn more at www.spokanein2015.org. Detroit in 2014: The convention would be held July 17-20 in the Detroit Marriott at the Renaissance Center. Learn more at detroitin2014.org. Phoenix in 2014: The convention would be held July 30-August 3, 2014, at the Tempe Mission Palms Hotel and Conference Center. Learn more at phoenixin2014.org. Voting information is in the full press release which follows the jump. Kevin Standlee had posted video from the Site Selection Business Meeting at Chicon 7. 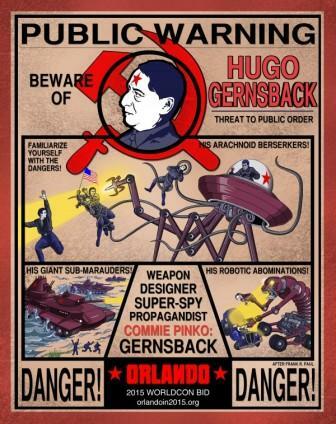 The Orlando in 2015 Worldcon bid committee has posted the Orlando Manifesto, a wide-ranging philosophical discussion of how to run the con and how to grow the community that supports it. About 1000 individuals vote for the awards these days, while Facebook fan communities often have tens of thousands of members. New fandom simply does not credit, nor have any interest in, an activity that draws such a relatively small number of people. Unlike James, they are trying to woo voters within the Worldcon community. This kind of shaming rhetoric hardly seems designed to accomplish that goal.